Dabhoi also called as Darbhavati is a city and a municipality in Vadodara district in the state of Gujarat, India. It was originally known as Darbhavati. Dabhoi was established in the early 6th century AD. Its foundation and fortification is ascribed to the Chaulukya king of Gujarat, Jayasimha Siddharaja (1093-1143 AD), who made this his frontier fortress. 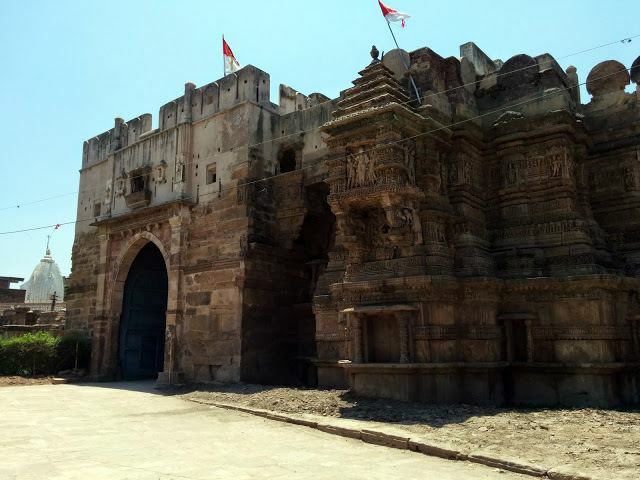 The architectural style and the exquisite stone carving and iconography on the fort walls and gates suggests that it was conceived and constructed in the same period as Rudra Mahalaya and Zinzuwada Fort. It is mentioned as an important city in the Jain inscriptions of Girnar (VS 1288). It is a major Jain pilgrimage place. There are 6 temples. Shri Lodhan Parshvanath temple is main attraction. Dabhoi is located at 22.18°N 73.43°E﻿ / 22.18; 73.43. It has an average elevation of 99 metres (324 feet). 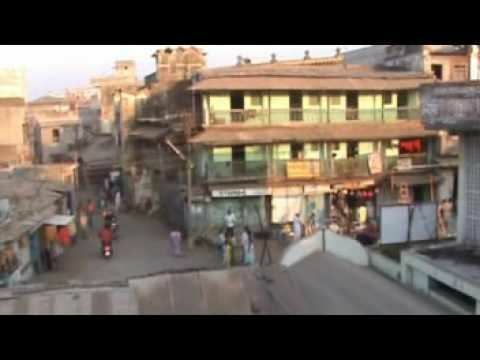 As of 2001 India census, Dabhoi had a population of 54,930. Males constitute 52% of the population and females 48%. Dabhoi has an average literacy rate of 68%, higher than the national average of 59.5%: male literacy is 75% and, female literacy is 61%. In Dabhoi, 10% of the population is under 6 years of age. Dabhoi is also a major gateway for Narmada Dam, the life line for Gujarat state. At one time the Dabhoi railway station was the biggest narrow gauge railway station in Asia with lines branching to Goyagate(Pratapnagar), Miyagam Karjan, Chandod, Bodeli, Samalaya Jn. The narrow gauge section of Pratapnagar(Vadodara)-Dabhoi-Bodeli-Chhota Udaipur has been converted to broad gauge. The remaining Narrow Gauge lines existing today at Dabhoi are Dabhoi-Miyagam Karjan-Choranda-Moti korel/Malsar, Dabhoi-Chandod, Dabhoi-Samalaya Jn.-Timba Road. It has undergone major changes recently. In the latest Railway Budget plan has been made of Gauge Conversion of Dabhoi-Miyagam and Dabhoi-Samalaya Jn. stretch to reduce the freight traffic at Vadodara Jn but still no action is taken.